FREE SHIPPING ON THIS ITEM ANYWHERE IN THE CONTINENTAL USA! 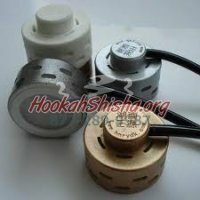 Eshish is the world’s first portable electronic shisha smoking device. 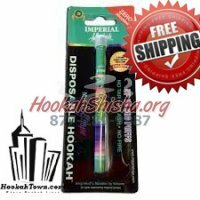 It is designed to provide the finest and ultimate smoking experience without any of the harmful toxins. With it’s eye catching designs and fresh bright colours, the Eshish will sell like no other alternative smoking device. Market research results were astonishing, proving that consumers are ready for a stylish and fashionable take on the average design associated with smoking. With it’s bold colours and crystal glowing tip, the Eshish is the ultimate in luxury smoking. Available in 5 fruity flavours - Strawberry, Peach, Grape, Blueberry and Apple, it offers the freshest taste yet to be available on the market. Our state of the art technology imitates the sensation of smoking a Shisha pipe, with the ease of smoking a cigarette. 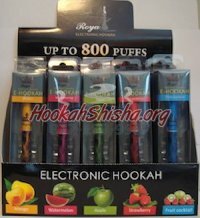 Its portable capabilities make it one of a kind and gives 100% satisfaction with the enjoyment of smoking the finest quality shisha flavours. Eshish is breaking through barriers and introducing you to a whole new world of smoking in a healthier and more entertaining way.